Tomorrow is Election Day. It's an important time where our action (or inaction) will significantly shape the course of history. It's a major opportunity to protect our interests now, and into the future. From climate change to transportation policy, from protecting ourselves from pollution to investing in infrastructure, policy makers can either enhance or undermine our well being as individuals and as a community. Make a plan for how you will get to the polls between 7am and 8pm tomorrow, Tuesday, November 8th! If you are struggling to find a way to get to the polls, maybe you don't have a car, or you are worried about parking, or concerned about gas, here are some options for you, (and some fun ways to meet new friends in the process)! Consider offering friends a ride, using facebook, groupme, or zimride! Borrow a zipcar with friends and split the cost! Grab some bikes and have some fun along the way! The possibilities are (almost) endless. 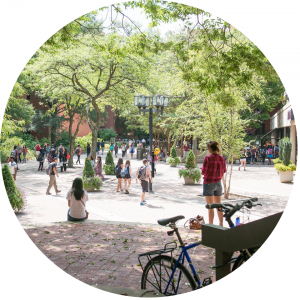 Try UMBC’s free shuttle system with green features including a newly upgraded low-emissions fleet, easy-load bike racks, and solar powered bus shelters! UMBC Transit: Shuttles connect UMBC with train stations, satellite parking, BWI airport, and the shopping, dining, and entertainment destinations in the neighborhoods surrounding campus. Bus: Routes #35, 77, and 99 connect UMBC with Baltimore City and the surrounding area. 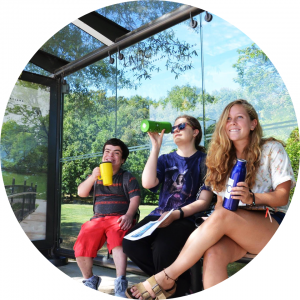 Train: Many trains serve the area, including MARC, a commuter train connecting the greater Baltimore and Washington, D.C. Areas with student-friendly fares. Closest station to campus: the newly rennovated Halethorpe station, only 1.5 miles from campus. Includes bike lockers and a 5 to 10 minute bike route, downhill from UMBC. Light Rail & Metro: Connecting Baltimore County & City, the metro travels east and west while the light rail north to south. 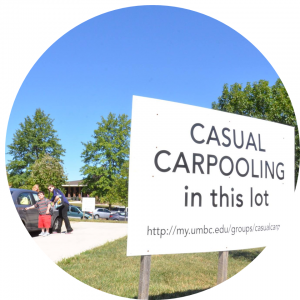 Join the myUMBC Group to find carpooling tips, link up for rides, and learn about carpooling events! By carpooling daily, you may qualify for a preferred parking space in a lot reserved for registered carpoolers. With bike racks, bike lockers, and even bike racks on the UMBC Transit buses, we have array of options to stay active on two wheels! Bicycles should be parked at racks or in lockers, and registered with the campus police to protect against theft. The UMBC Cycling club organizes casual rides, road rides and mountain bike rides: long and short, near and far. Patapsco State Park offers a safe route to Ellicott City, and the nearby Gwynn’s Falls Trail and Jones Falls Trail offer scenic and safe routes to access Baltimore city. Learn more about biking in Maryland. 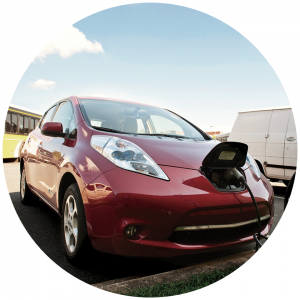 Zip car is a convenient and accessible car share program available on campus. Two zip cars are at UMBC and located on Center Road by Student Success Center. You can rent a vehicle for the hour or for the day, as long as you are over 18. Gas & insurance included. Two Electric vehicle charging stations are located in the Stadium Lot. Free to use for the campus community as well as visitors with no registration necessary.